A new brand of online casino games has been popping its head up in recent years. 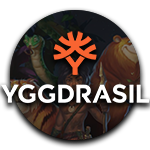 Its name is Yggdrasil Gaming and at this point they’re mostly known for their flashy videoslots. Some of their most famous titles are called Joker Millions, Vikings Go Wild and Cazino Zeppelin, but they also created many other games which are definitely worth trying out. The name of this developer is based on Norse mythology. To make a long story short, it represents the tree of life, which is also the reason why the logo of this company looks like a tree. They probably chose this name because Yggdrasil Gaming was founded in Sweden. Just like many other companies in the business, like for example Net Entertainment and Quickspin, they originally came from Stockholm before they spread their wings and opened offices in other countries in Europe. At this point, Yggdrasil employs a significant amount of people which are based in Sweden, Poland and Malta. Why there? Because their developers and tech people are based in Poland, while Malta is pretty much the place to be when it comes to online gaming. That obviously means they are also fully licensed by the Malta Gaming Authority, allowing them to share their games with the general public. A little-known fact is that the founders of Yggdrasil Gaming originally came from Net Entertainment. They used their knowledge and experience to bring something new to the online casino market and they decided to initially do this with keno games and scratch cards. Not physical scratch cards of course, but digital ones! They developed A Cool Million, Gold Bars, Holiday Cash, King for a Day, Lucky Triple, Piggy Bank, Precious Little Diamonds, Sabbatical, Scary Money and Silver Dollars in a relatively short amount of time, after which they quickly started to expand their horizon. This went on to lotto games, like the online game called Lotto 7 Express and the live game called Lotto 7 Live Draw. These casino games do pretty much what you´d expect: The first version will let you play lotto against the computer, while the second version will let you play the same game, except with a live dealer. Those products were pretty fun, but they didn’t quite make them famous. It wasn’t until they started releasing online slots when they made a real name for themselves. The very first videoslot that was released by Yggdrasil Gaming is called Jokerizer. If you enjoy playing at online casinos then you may have seen the face of the happy little joker come by, and you may have even played it for real money. This game seems a bit basic at first, but that certainly isn’t the case. It offers mystery wins, as well as immersive graphics and lots of chances of getting a mega big win! This slot even became so successful that they released several other games which were based on the same theme, like The Dark Joker Rizes, Joker Millions and Empire Fortune, although they also came with many other videoslots which were completely unrelated. Yggdrasil managed to produce dozens of slots in a relatively short period of time and this seemed to have no negative effects on their quality. They are responsible for unique games like Seasons and Chibeasties, while they also made games with amazing graphical effects, like Super Heroes and Reptoids. It has become pretty obvious that Yggdrasil Gaming has been producing quality slots consistently since the beginning. There are plenty of different games with their brand that you can enjoy at many different online casinos and that is also what they are best known for. But they also offer some additional features that you may enjoy. For example, some of their games offer the feature which will let you participate in in-game tournaments, which will let you qualify for pretty impressive additional prizes! And as if that isn’t enough, it seems that they are also looking to expand to even more different types of casino games, like bingo and more! Although, if you think about it, they have covered a pretty significant number of different types of casino games at this point. So, it shouldn’t come as much of a surprise that they are now trying to take over even more niches in the market. The only thing they don’t seem to be doing at this point is classic table games… But hey, who knows what they’re capable of in the future! Track your RTP with NetEnt Engage! Hero Gaming Launches NetEnt Blitz!